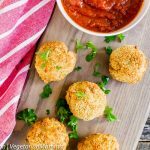 Game changing air fryer risotto balls to try right now! We love our easy to make air fryer recipes! 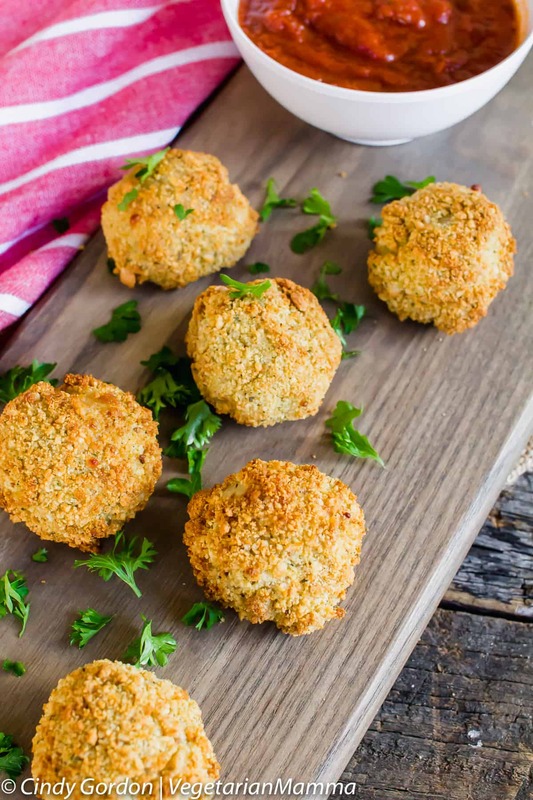 Use your leftover risotto to make these delicious arancini balls! This post does contain affiliate (ad) links. I am a huge risotto fan. I was intrigued by risotto after watching all the cooks on Hell’s Kitchen fail at the task of making it. While many times it looked delicious, Gordon Ramsey was not happy with the quality and the consistency. With that said, I decided that I needed to try it. Not that I was better than your average aspiring chef on Hell’s Kitchen. I just wanted to give it a try. I came to learn that it is actually not that hard to make. You just need to pay attention to it. It likes attention on the stove. Constant stirring and adding of liquid. It is definitely an attention seeker in the kitchen. We’ve created some mouthwatering risotto recipes that are amazingly easy. You have probably seen our other risotto recipes. If not, be sure to check out Broccoli and Cheese Risotto, Kale Risotto, and Spinach and Shallot Risotto! I have found that the key to good risotto is great rice. In our risotto recipes we generally use Lundberg White Arborio Rice. 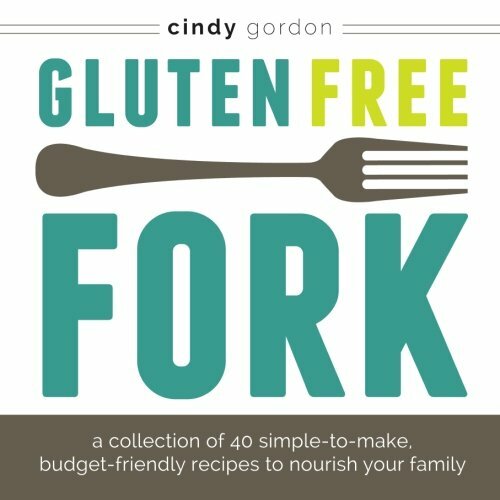 (affiliate ad link) For us, we like this rice because it is certified gluten-free. Wondering what Arborio Rice is? It is actually a traditional rice used when cooking creamy Italian dishes! If you want a creamy texture with your rice, Arborio Rice is the rice to use! Several years back my husband asked me to make risotto balls from our leftover risotto. 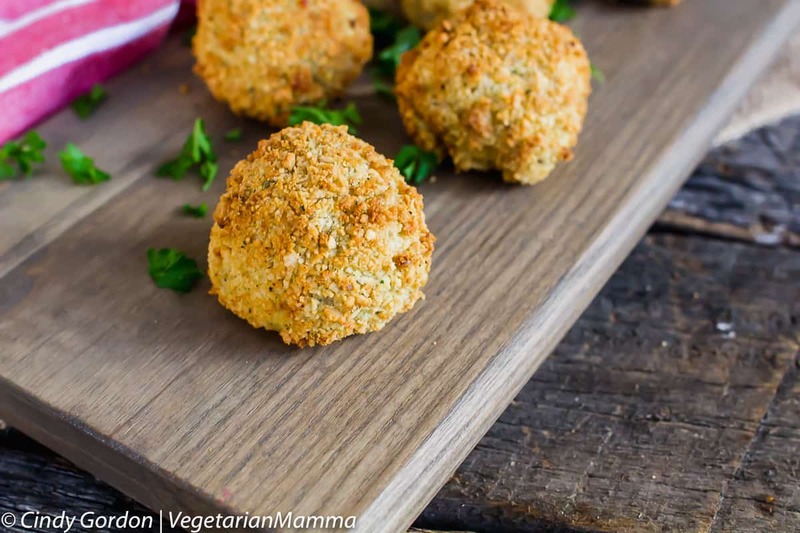 These delicious breaded balls are simply amazing. You are going to fall in love with the flavor of these little guys. You can use your leftovers! Since it uses your leftovers, it’s a huge bonus in the menu planning area! We love to eat and use leftovers! We love our air fryer baked potatoes, air fryer jalapeno poppers, air fryer tofu, air fryer Brussel sprouts, air fryer grilled cheese and air fryer French toast. 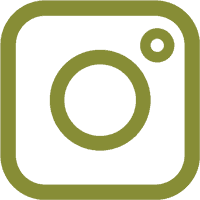 The options for air fryers (affiliate ad link) are simply endless! There are so many amazing delicious options out there now for easy air fryer recipes. Back to these risotto balls. So we are using our left over risotto (or even making a new batch) and coating the risotto balls with breading. In our case, we are gluten-free. So our breading will be gluten-free breading. If you don’t have any food restrictions, you can use your favorite bread crumbs. In this particular recipe, we used Ian’s Gluten Free Italian Bread Crumbs. 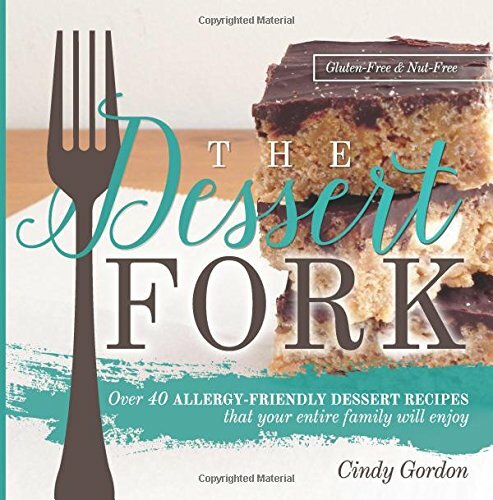 (affiliate ad link) These particular gluten-free bread crumbs are super allergen friendly. So if you need to avoid things like eggs, milk, peanuts, tree nuts, soy and wheat, you should check them out! If using leftover risotto, skip to step 6. Add olive oil to a deep and large saucepan over medium heat. Heat the oil Add the onions and saute until soft. Add dry rice and saute for 1 minute. Next, add 2 cups of veggie broth. Let the broth cook down while you continually stir to avoid any burning. Once the liquid has been cooked down, add 2 more cups. Continue with this process until all your liquid is absorbed and your rice is soft. This process should take about 20 minutes. Stir in parmesan. Pour risotto into a casserole dish or sheet pan. Cool for 1-2 hours in the fridge. (This step is very important. The risotto HAS to be cold to be able to be rolled into balls). In a small bowl, place the bread crumbs. In another bowl, place the beaten eggs. Remove chilled risotto (rice mixture) from the fridge. Roll into 1 inch rice balls. 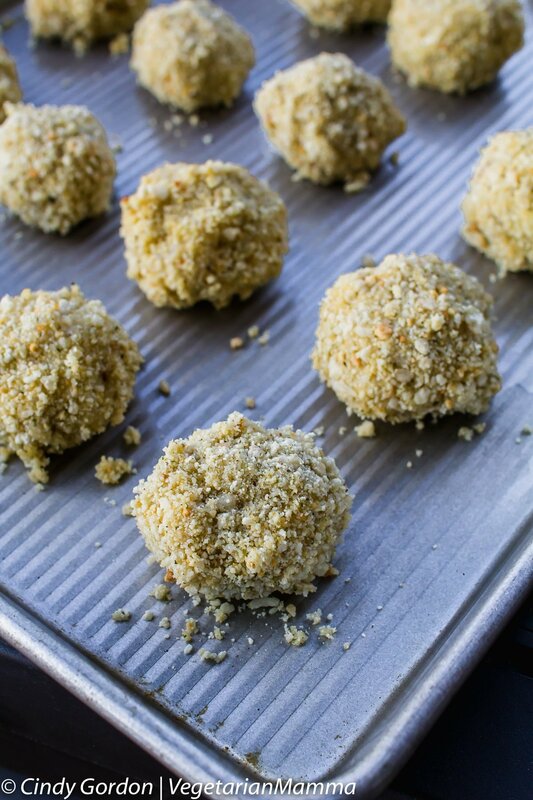 Dip into eggs then into bread crumbs to coat the entire ball. Do this until you run out of ingredients. Place rolled and coated balls back into the fridge for 45 minutes. 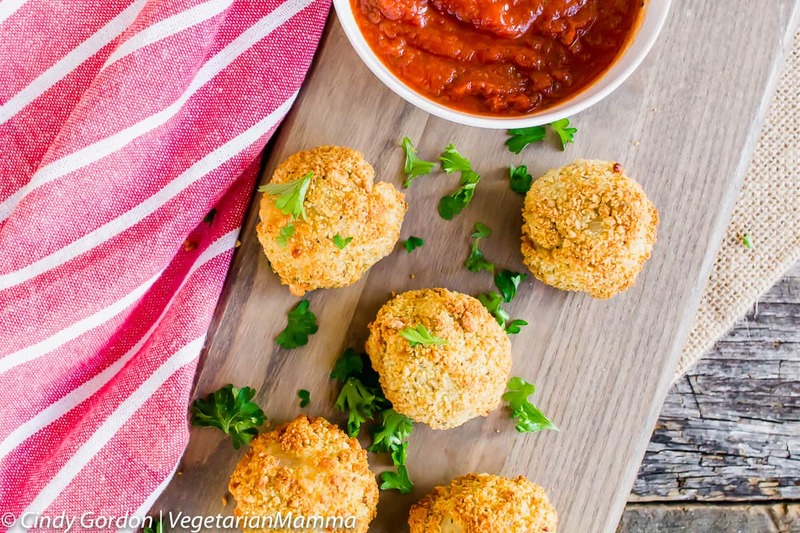 Serve with marinara sauce and ENJOY! 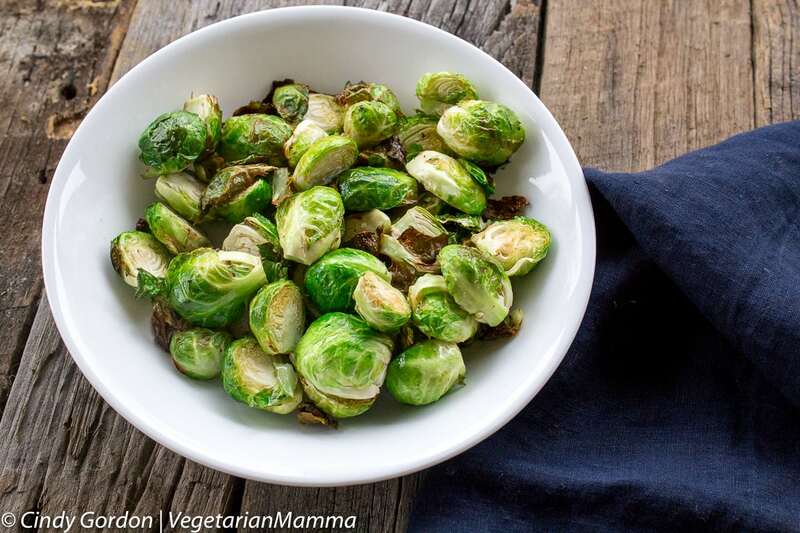 You might also like our Air Fryer Brussel Sprouts! 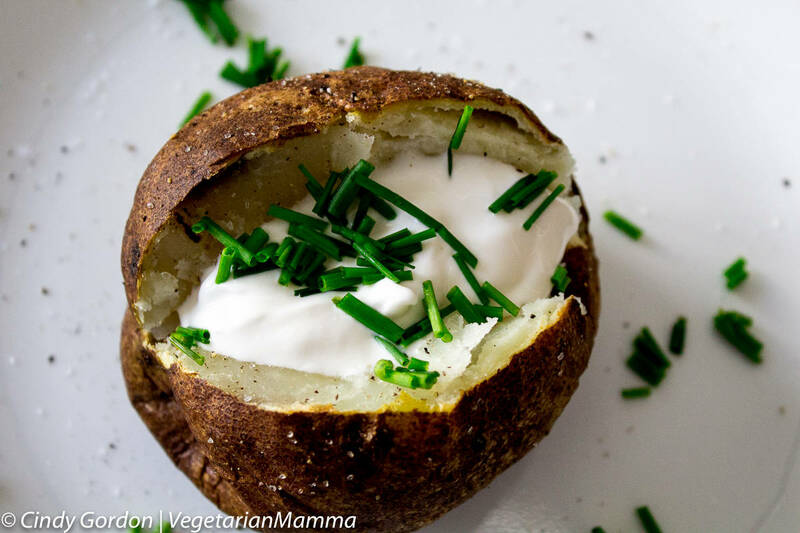 Or you might enjoy our Air Fryer Baked Potatoes! Love Grilled Cheese? 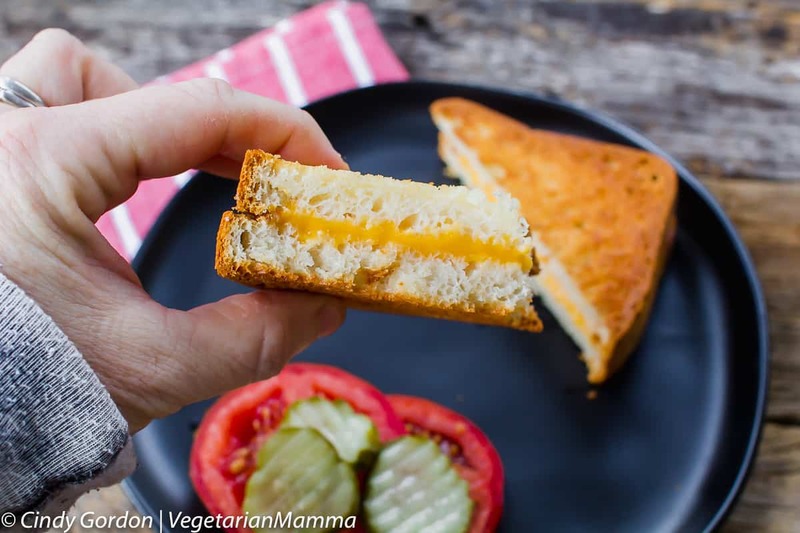 Maybe Air Fryer Grilled Cheese is what you need! 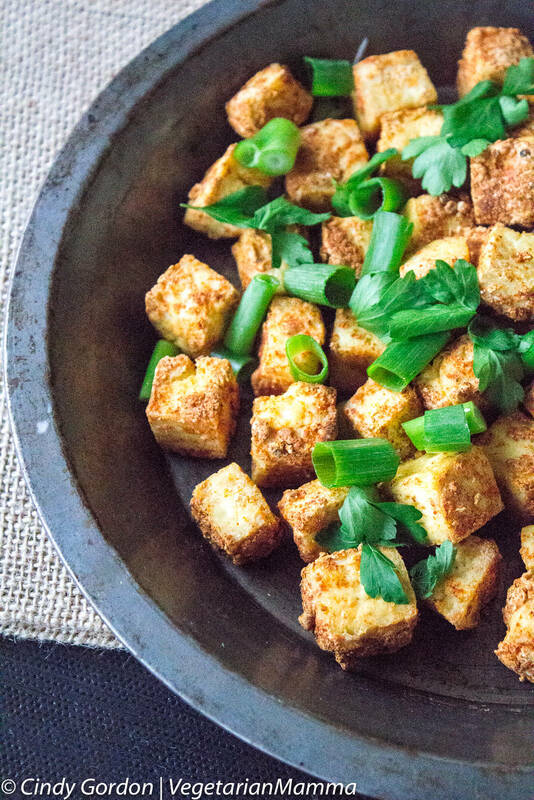 This air fryer tofu recipe is very simple and delicious! 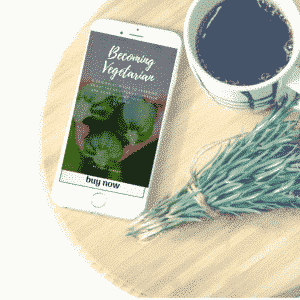 Looking for other amazing bloggers with amazing recipes? 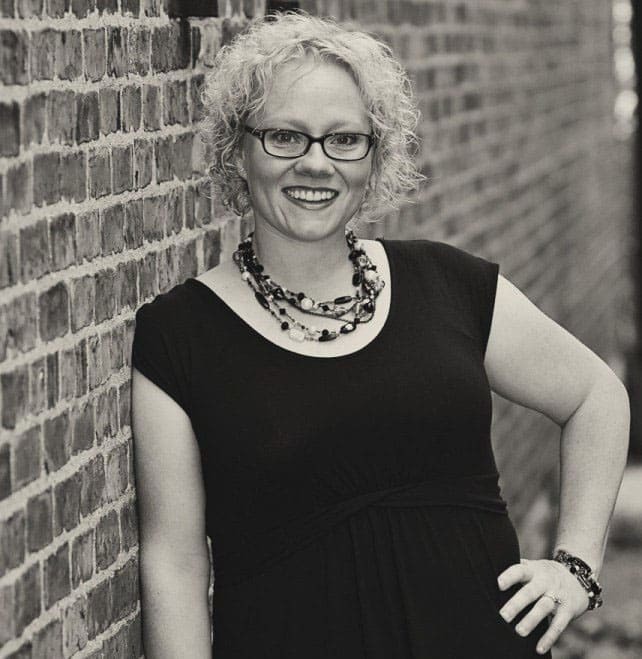 Check out Gluten Free Palate, My Gluten Free Kitchen, MI Gluten Free Gal and Flippin Delicious. Leave me a comment below telling me if you have an air fryer. 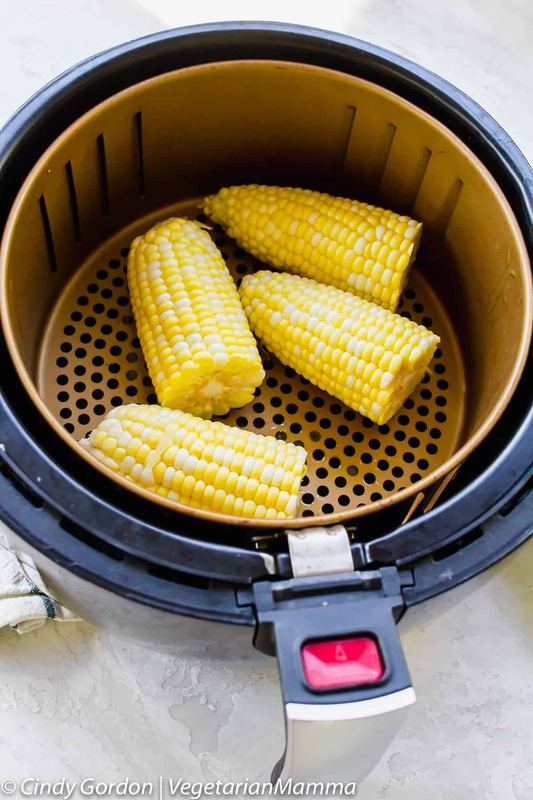 What recipes have you tried in your air fryer? I’d love to know! I love risotto so I’m sure I would love this recipe. I need to get an air fryer. Yep, air fryers are pretty awesome! I don’t have an air fryer but I keep seeing recipes that tempt me. This is not helping me resist! It all looks so good. You won’t be able to resist much longer, ha! So yummy! We love risotto! These look delicious, I might have to get an air fryer. WE are HUGE risotto fans too! This sounds really good. l love using the air fryer whenever I get a chance. This is a really unique idea that sounds amazing. Thanks for sharing, I have to give this one a try. Air fryers are THE best, aren’t they? Such yummy food you can make! Those look amazing! I can’t wait to try out your recipe. I bet they’re going to be so good. 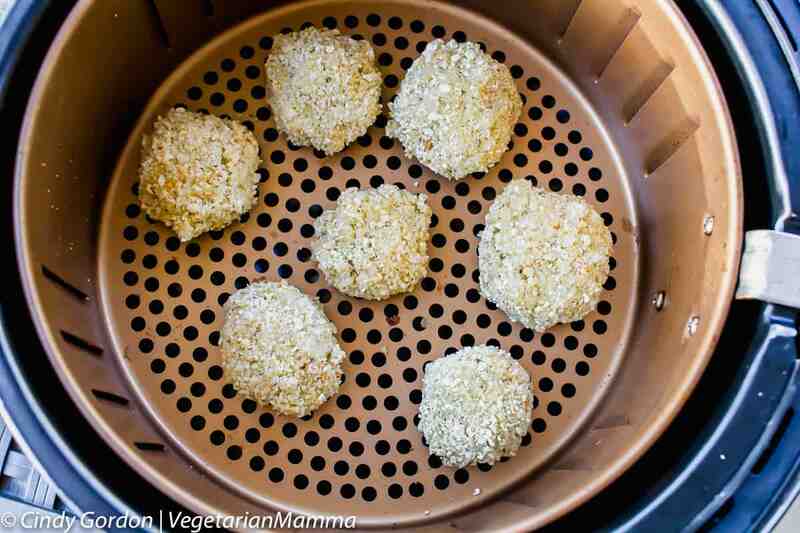 I love using my air fryer too, so I’m interested in giving these a try. Ahh, these looks so delicious! A healthy and yummy recipe. This is so new to me so I’m excited to try this! This looks like such a fun and yummy recipe. I would love to try making this for my family.